Did you know that male fish swimming in the very water we end up drinking, are morphing into egg-producing female fish? 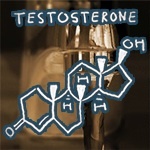 This is happening because of all the estrogen that ends up in our drinking water. Most government filtration systems around the world, including in the USA, don’t filter estrogen, which means most of us are drinking feminizing water. 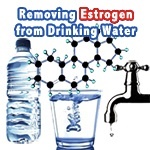 It’s crucial that you take action now and start filtering or distilling your water to get all that estrogen out. You can learn more in the articles below.